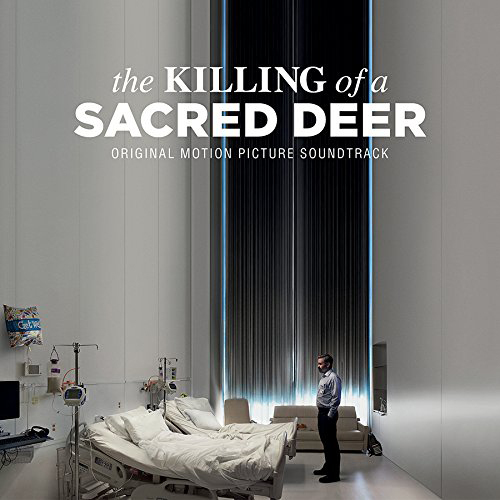 Howlin' Wolf Records: SIX STRINGS: Milan Records: "The Killing Of A Sacred Deer"
The highly anticipated drama The Killing Of A Sacred Deer reunites writer/director Yorgos Lanthimos (The Lobster) with Colin Farrell. The film tells the story of Steven, a charismatic surgeon forced to make an unthinkable sacrifice after his life starts to fall apart and the behavior of a teenage boy he has taken under his wing turns for the worst. The film also stars Nicole Kidman, Alicia Silverstone and Raffey Cassidy. This new exciting chapter in the career of one of the most original directors working today features an eclectic soundtrack ranging from pieces of classical music by the likes of J.S Bach, Franz Schubert and Gyorgy Ligeti, to score cues by accordion player Janne Raettya . The album will also include the song “Burn” (Ellie Goulding) performed by Raffey Cassidy. Distributor A24 will release The Killing Of Sacred Deer in New York and Los Angeles on October 27th and will expand nationwide on November 3rd.